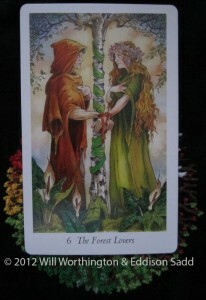 Today we have the Forest Lovers come out to greet us. I’m pretty sure that they’d much rather snuggle up in their cosy home with the fire burning, than sit with me in the rain… To be honest, I’d rather not play gooseberry either! But what have these two, Robin Hood and Maid Marian, got for us today? 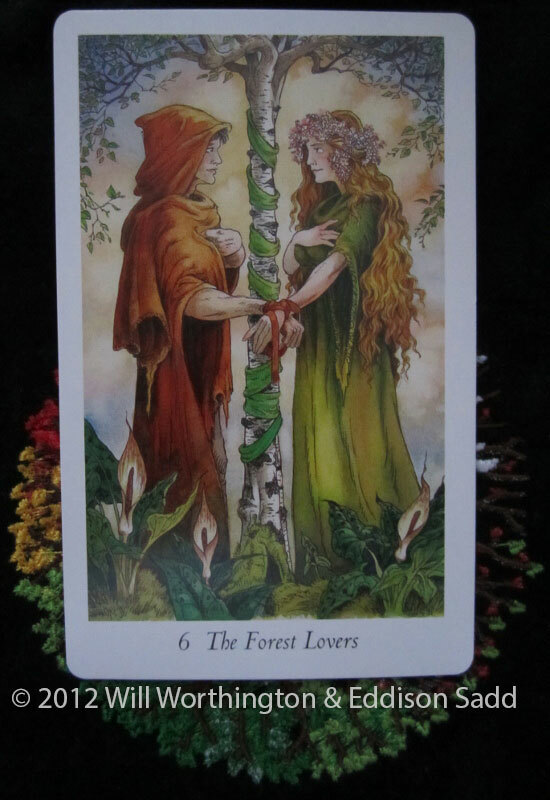 Usually with this card, I always think of “love yourself” in the first instance and partners, spouses, children, relatives, family and close friends afterwards. They’re also a reminder I think, to not take others for granted. We don’t like being taken for granted. Children do that to their parents as a matter of course, it’s just what they do: until they have to do things themselves. The last time this card came up, it was my sisters birthday. She’s a professional photographer as well as “working for the man” and she’s taken the each Wildwood image and kindly put the necessary copy right notice across each. I’ll be updating the images slowly, going through the 500 odd posts before now, putting the water mark through each image. So as well as loving ourselves, each other, there’s protection of what is precious. To me, I love the Wildwood, but to Will, John, Caitlin and Mark, it’s precious. So I’ll help protect that as much as I can. Thank you sister dear and blessings to everyone reading this!